The complete Boss & Max-Flow Bulk-Fill system with filling head for use with the Benjamin Discovery air rifle. The Max-Flow’s larger valve capacity increases velocity / performance over the stock Discovery valve, and can be used with C02 or high pressure air. The angled transfer port directs air / C02 pressure more directly to the pellet chamber. 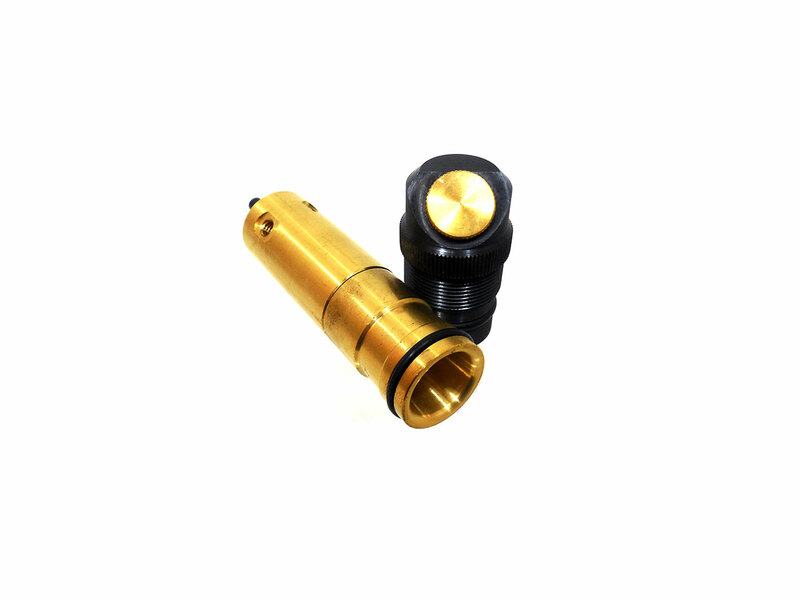 Bulk fill fitting work with Benjamin Discovery airguns, and is used to attach a paintball tank for bulk filling.